Growing up near Clearwater Beach as a kid in the 60s and 70s Clearwater Beach was my playground. Having walked, biked and driven every inch I could traverse it with my eyes closed from Eldorado Avenue to South Gulfview Blvd. I moved away, things changed and though I was aware of the roundabouts I had not experienced one. Unaware of the difficulty one faces parking at Pier 60 recently we left Tampa planning to cross Clearwater Memorial Causeway to Pier 60. My excitement faded fast, stuck in traffic we crawled across the causeway only to become trapped within the roundabout going round and round, driving in circles. Eventually, someone allowed us out, making our way into the parking lot at Pier 60 we thought the worst was past. We were wrong! Though not round, the parking lot is another roundabout! We spent the next 30 minutes going in circles looking for a parking space. To make matters worse, we turned up the wrong 'aisle' and quickly found ourselves OUTSIDE of the parking lot heading south on the beach toward Sand Key! We did not know there is a better way! A way to avoid the circles, stress, wasted time and aggravation. We did not know about the Clearwater Ferry Services. We do now and want to share the information with you! Found at Coachman Park along the city's waterfront, parking for the ferry is free. The next night we parked, paid the first mate and boarded, taking a seat along the rail I was a little sad the ride passed so quickly. It was fun, we met people and talked among ourselves. Thanks to the ferry the party started 10 minutes sooner! No traffic, no stress, just a relaxing ride, THIS was a much better way to begin our night. Think about it, why do you go to the beach anyway? Relaxation, laughter, great views, good food, a good time. Why ruin everything getting there? They are available for private charters and will run up to Caladesi Island. 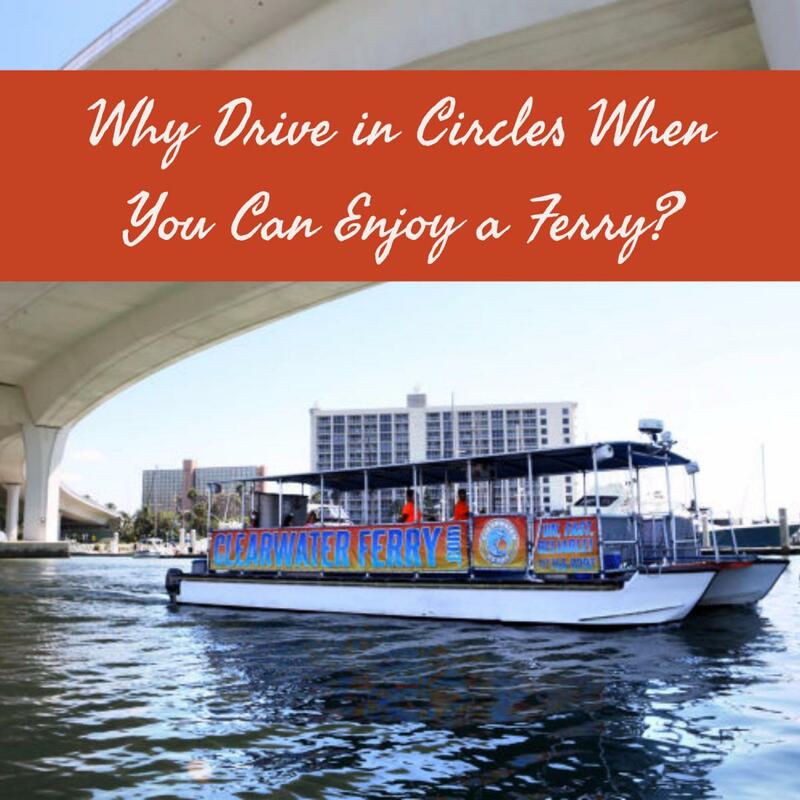 Unless you like sitting in traffic so you can drive in circles looking for parking spots the Clearwater Ferry Services are your best bet for travelling to Clearwater Beach from the mainland. 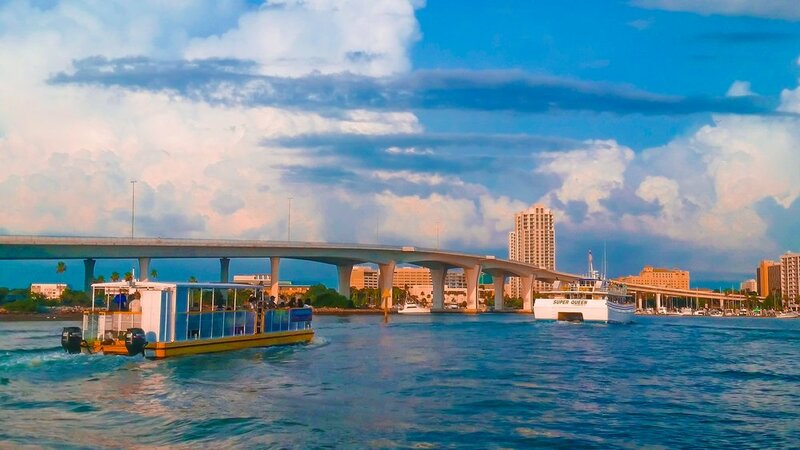 Stop feeding the meter and start having fun on the way to Clearwater Beach and Island Estates, take the Ferry!